Alexis joined Galloway after graduating from Samford University’s Cumberland School of Law in Birmingham, Alabama. During law school, she served as an Associate Editor for the Cumberland Law Review and published a Case Note on the constitutionality of the Affordable Care Act. Alexis is also a member of the inaugural class of the Judge James Edwin Horton Inn of Court for the Cumberland School of Law as well as a former Judge Abraham Caruthers Fellow for the Lawyering and Legal Reasoning program at Cumberland. 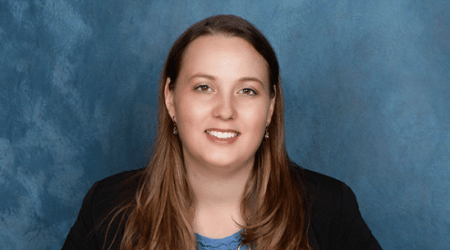 In addition to her work at the school, Alexis is a former judicial law clerk for the Circuit Court of Baldwin County, Alabama, and a former judicial extern for a Magistrate Judge in the Southern District of Alabama. Alexis’ concentrates her practice in the areas of construction defect litigation; professional liability; personal injury/premises liability defense; real estate and commercial transactions; and first-party insurance/coverage work. In the commercial arena, Alexis assists business owners seeking to expand their presence throughout the Gulf Coast. Originally from Columbus, Ohio, Alexis moved to the Gulf Coast after high school.